Steve and Paula Blackl began the pursuit of a dream when in 2003 they purchased the 110-acre vineyard located in the Red Hills of Dundee and created The Four Graces. The Four Graces is aptly named after their four daughters – Alexis, Vanessa, Christiana, and Jillian. Brother Nicholas is recognized on the Reserve as "Keeper of The Four Graces." The Blacks wanted to make consistently outstanding Pinot Noirs representative of this unique terroir. 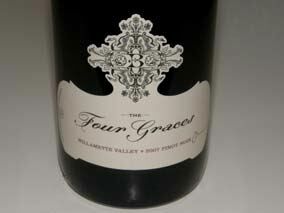 They are committed to making rich, complex wines where the fruit may be elegantly expressed in the Four Graces wines. The wines are luxuriously produced in small lots using traditional techniques coupled with the most modern technology available. In addition to his love for wine, Steve is the founder and managing member of Cisterra Partners, an international commercial development company. Cisterra Partners has been recognized by the National Association of Industrial and Office Properties as "Developer of the Year" and also by Ernst & Young in its Entrepreneur of the Year program. Prior to his involvement in the real estate industry, Steve was a Certified Public Accountant with Deloitte. Paula Black's background began in television production where her creative talents were put to use, especially in the area of video editing. Pinot Noirs included a Willamette Valley blend, a Dundee Hills Reserve blend and a Black Family Estate Pinot Noir, in addition to other specialty vottlings. 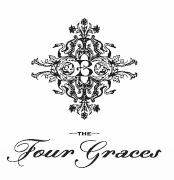 Foley Family Wines acquired The Four Graces in 2016.